Mohsen Sheikholeslami Kandelousi (M. Sheikholeslami) Ph.D, Mechanical Engineering, Thermo-fluids subfield- Babol Noshirvani (Mazandaran) University of Technology, Babol, Mazandaran, Iran. Master of Science, Mechanical Engineering, Thermo-fluids subfield- Babol Noshirvani (Mazandaran) University of Technology, Babol, Mazandaran, Iran. Bachelor of Science, Mechanical Engineering, Majoring in Heat and Fluids Engineering, University of Mazandaran, Babol, Iran. 1- Computational Fluid Dynamics (CFD) and Computational physics (FVM, FDM,FEM, CVFEM). 1. M. Sheikholeslami, M. Gorji-Bandpy, Soheil Soleimani, Two phase simulation of nanofluid flow and heat transfer using heatline analysis, International Communications in Heat and Mass Transfer 47 (2013) 73–81. 3. M. Sheikholeslami, M. Gorji-Bandpay, D.D. Ganji, Investigation of nanofluid flow and heat transfer in presence of magnetic field using KKL model, Arabian Journal for Science and Engineering, 39(6) 2014 5007-5016. 4. M. Sheikholeslami, M. Gorji-Bandpy, D.D.Ganji, Natural convection in a nanofluid filled concentric annulus between an outer square cylinder and an inner elliptic cylinder, Scientia Iranica, Transaction B: Mechanical Engineering (2013) 20(4), 1-13. 5. M. Sheikholeslami, M. Gorji-Bandpy, S.M. Seyyedi, D.D. Ganji, Houman B. Rokni, Soheil Soleimani, Application of LBM in simulation of natural convection in a nanofluid filled square cavity with curve boundaries, Powder Technology, 247 (2013) 87–94. 7. M. Sheikholeslami, M. Gorji-Bandpy, D.D. Ganji, Soheil Soleimani, Natural convection heat transfer in a cavity with sinusoidal wall filled with CuO-water nanofluid in presence of magnetic field, Journal of the Taiwan Institute of Chemical Engineers 45 (2014) 40–49. 8. M. Sheikholeslami, M. Gorji-Bandpy, G. Domairry, Free convection of nanofluid filled enclosure using lattice Boltzmann method (LBM), Appl. Math. Mech. -Engl. Ed., 34(7), (2013) 1–15. 10. M. Sheikholeslami, D.D. Ganji, H.R. Ashorynejad, Investigation of squeezing unsteady nanofluid flow using ADM, Powder Technology 239 (2013) 259–265. 11. M. Sheikholeslami, M. Gorji-Bandpay, D.D. Ganji, Magnetic field effects on natural convection around a horizontal circular cylinder inside a square enclosure filled with nanofluid, International Communications in Heat and Mass Transfer 39 (2012) 978–986. 13. M. Sheikholeslami , M. Gorji-Bandpy, D.D. Ganji, Soheil Soleimani, S.M. Seyyedi, Natural convection of nanofluids in an enclosure between a circular and a sinusoidal cylinder in the presence of magnetic field, International Communications in Heat and Mass Transfer 39 (2012) 1435–1443. 14. Soheil Soleimani, M. Sheikholeslami, D.D. Ganji and M. Gorji-Bandpay, Natural convection heat transfer in a nanofluid filled semi-annulus enclosure, International Communications in Heat and Mass Transfer 39 (2012) 565–574. 15. M. Sheikholeslami, D.D. Ganji, Heat transfer of Cu-water nanofluid flow between parallel plates, Powder Technology 235 (2013) 873–879. 16. H. R. Ashorynejad, M. Sheikholeslami, I. Pop, D. D. Ganji, Nanofluid flow and heat transfer due to a stretching cylinder in the presence of magnetic field, Heat Mass Transfer (2013) 49:427–436. 17. H. R. Ashorynejad, A. A. Mohamad, M. Sheikholeslami, Magnetic field effects on natural convection flow of a nanofluid in a horizontal cylindrical annulus using Lattice Boltzmann method, International Journal of Thermal Sciences 64 (2013) 240-250. 18. M. Sheikholeslami, D. D. Ganji, H. R. Ashorynejad, Houman B. Rokni, Analytical investigation of Jeffery-Hamel flow with high magnetic field and nano particle by Adomian decomposition method, Appl. Math. Mech.-Engl. Ed., 33(1), 1553–1564 (2012). 19. M. Sheikholeslami, H. R. Ashorynejad, G. Domairry and I. Hashim, Flow and Heat Transfer of Cu-Water Nanofluid between a Stretching Sheet and a Porous Surface in a Rotating System, Hindawi Publishing Corporation Journal of Applied Mathematics Volume 2012, Article ID 421320, 19 pages ,doi:10.1155/2012/421320. 20. M. Sheikholeslami,H. R. Ashorynejad, D. D. Ganji and A. Kolahdooz, Investigation of Rotating MHD Viscous Flow and Heat Transfer between Stretching and Porous Surfaces Using Analytical Method, Hindawi Publishing Corporation Mathematical Problems in Engineering Volume 2011, Article ID 258734, 17 pages,doi:10.1155/2011/258734. 22. M. Sheikholeslami, H. R. Ashorynejad , Davood Domairry, I. Hashim, Investigation of the Laminar Viscous Flow in a Semi-Porous Channel in the Presence of Uniform Magnetic Field using Optimal Homotopy Asymptotic Method, Sains Malaysiana 41(10)(2012): 1177–1229. 23. M. Sheikholeslami, H.R. Ashorynejad, A. Barari, Soheil Soleimani, Investigation of heat and mass transfer of rotating MHD viscous flow between a stretching sheet and a porous surface. Engineering Computations, 30(3) (2013) 357-378. 25. D.D. Ganji, M. Sheikholeslami, G.H. Barzegar and M. Eftari, Application of Optimal Homotopy Asymptotic Method to solve MHD Jeffery-Hamel Flows in Non-parallel Walls by using Galerkin Method, World Applied Sciences Journal 16 (Special Issue of Applied Math): 75-81, 2012. 26. D.D. Ganji, M. Sheikholeslami, H.R. Ashorynejad and F. Shakeri, Two-dimensional Viscous Flow through Permeable Walls with Expanding or Contracting Gaps, World Applied Sciences Journal 16 (Special Issue of Applied Math): 82-92, 2012. 27. H.R. Ashorynejad, K. Javaherdeh and M. Sheikholeslami, Homotopy Analysis Method for the heat transfer of Flow in a Porous Medium Over a Permeable Stretching Wall, World Applied Sciences Journal 16 (Special Issue of Applied Math): 17-25, 2012. 28. M. Sheikholeslami, M. Gorji-Bandpy, D. D. Ganji, Numerical investigation of MHD effects on Al2O3-water nanofluid flow and heat transfer in a semi-annulus enclosure using LBM, Energy, 60 (2013) 501-510. 30. H.R. Ashorynejad, K. Javaherdeh M. Sheikholeslami, D.D. Ganji, Investigation of the heat transfer of a non-Newtonian fluid flow in an axisymmetric channel with porous wall using Parameterized Perturbation Method (PPM), Journal of the Franklin Institute 351 (2014) 701–712. 32.M. Sheikholeslami, R. Ellahi, H. R. Ashorynejad, G. Domairry, and T. Hayat, Effects of Heat Transfer in Flow of Nanofluids Over a Permeable Stretching Wall in a Porous Medium, Journal of Computational and Theoretical Nanoscience, Vol. 11, 1–11, 2014. 33. M. Sheikholeslami, D.D.Ganji, Magnetohydrodynamic flow in a permeable channel filled with nanofluid, Scientia IranicaB (2014) 21(1), 203-212 . 36.M. Sheikholeslami, M. Gorji-Bandpy, D.D. Ganji, Lattice Boltzmann method for MHD natural convection heat transfer using nanofluid, Powder Technology 254 (2014) 82-93. 37. M. Hatami, M. Sheikholeslami, D.D. Ganji, Laminar flow and heat transfer of nanofluid between contracting and rotating disks by meshless least square method, Powder Technology 253 (2014) 769–779. 38.M. Sheikholeslami, M. Gorji-Bandpy, D.D. Ganji, Soheil Soleimani, Heat flux boundary condition for nanofluid filled enclosure in presence of magnetic field, Journal of Molecular Liquids,193 (2014) 174-184. 39.M. Sheikholeslami, M. Hatami, D.D. Ganji, Nanofluid flow and heat transfer in a rotating system in the presence of a magnetic field, Journal of Molecular Liquids 190 (2014) 112–120. 40.M. Sheikholeslami, D.D. Ganji, M. Gorji-Bandpy, Soheil Soleimani, Magnetic field effect on nanofluid flow and heat transfer using KKL model, Journal of the Taiwan Institute of Chemical Engineers 45 (2014) 795–807. 41. M. Sheikholeslami, M. Hatami, D.D.Ganji, Micropolar fluid flow and heat transfer in a permeable channel using analytical method, Journal of Molecular Liquids 194 (2014) 30–36. 42. M. Sheikholeslami, D.D. Ganji, Numerical investigation for two phase modeling of nanofluid in a rotating system with permeable sheet, Journal of Molecular Liquids 194 (2014) 13-19. 43. M. Sheikholeslami, M. Gorji-Bandpy, D.D. 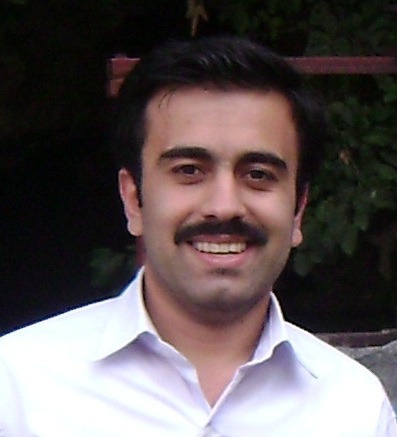 Ganji, Soheil Soleimani, Thermal management for free convection of nanofluid using two phase model, Journal of Molecular Liquids 194 (2014) 179–187. 45. M. Sheikholeslami, M. Gorji-Bandpy, D.D. Ganji, P. Rana, Soheil Soleimani, Magnetohydrodynamic free convection of Al2O3-water nanofluid considering Thermophoresis and Brownian motion effects, Computers & Fluids 94 (2014) 147–160. 47. M. Hatami, M. Sheikholeslami, D.D. Ganji, Nanofluid flow and heat transfer in an asymmetric porous channel with expanding or contracting wall, Journal of Molecular Liquids 195 (2014) 230–239. 49. Mohammad Hatami, Mohsen Sheikholeslami, M. Hosseini, Davood Domiri Ganji, Analytical investigation of MHD nanofluid flow in non-parallel walls, Journal of Molecular Liquids 194 (2014) 251–259. 50. M. Sheikholeslami, M. Gorji-Bandpy, D.D. Ganji, MHD free convection in an eccentric semi-annulus filled with nanofluid, Journal of the Taiwan Institute of Chemical Engineers 45 (2014) 1204–1216.